Day 63: North Island Completion! It was a cold one last night but quite cozy in the woods on our own. 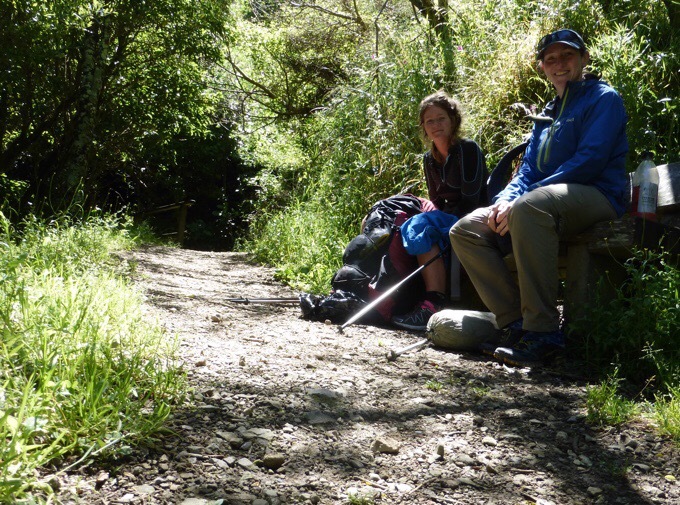 We set off at 7am with the temperature at 46F/8C on a morning paved road walk to the base of Mt Kaukau. Becky knows I’ve been more vigilant about her eating since the stomach issues and I asked her if she ate breakfast this morning. She said “yes” and I knew that had it been a healthy item she would have volunteered it, so I asked what exactly she ate for breakfast. She sheepishly looked down and said “gummies.” Ugh, kids! She did eventually get a bar down. Then we turned off onto a winding farm road up the mountain. It was a great morning with some crisp wind. 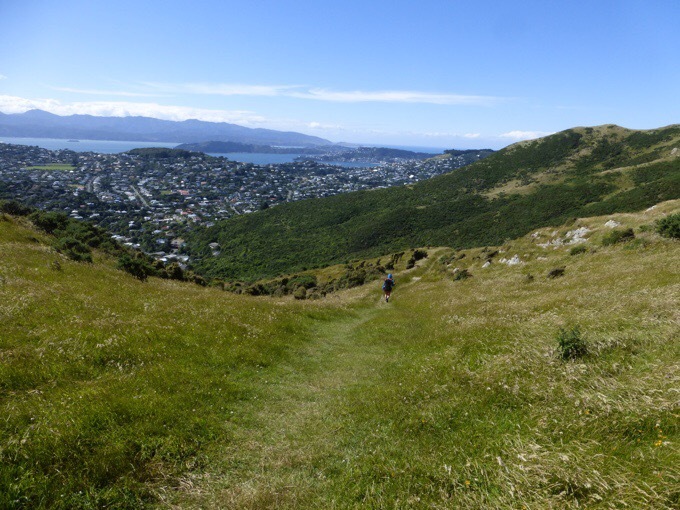 When we got to the top, we got our first view of Wellington and our day that lied ahead. For me, it was an exciting feeling all day of reaching a milestone on this hike. 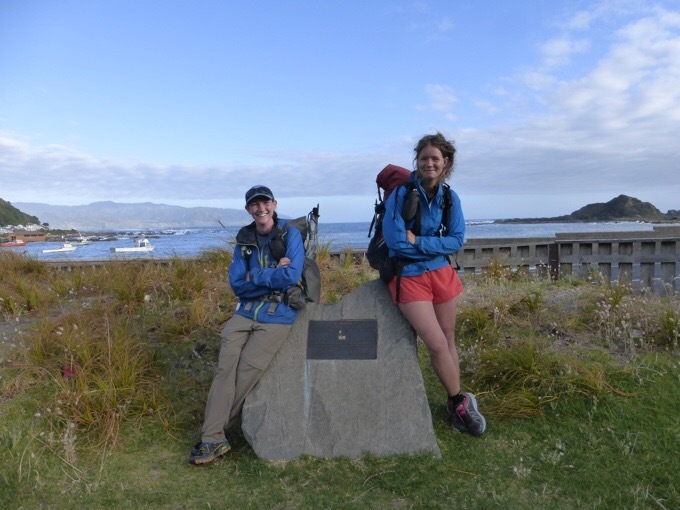 I know we reached the halfway mark and the 1,000mi mark over the last couple of legs, but this one seems more concrete as we are shifting to the South Island where the shift to a lot more hiking will begin! View of Wellington from the top of Mt Kaukau. Becky’s energy is improving, and she thinks the UTI is gone after two days. This isn’t her first rodeo with dealing with that, but it is the first time out on the trail where it can return and escalate quickly. She’s heard all our warnings and it’s up to her to take care of it, as stubborn as she tends to be. Advice has been given and she has a double zero to take action on that front if she really wants to. Heading down to the city. 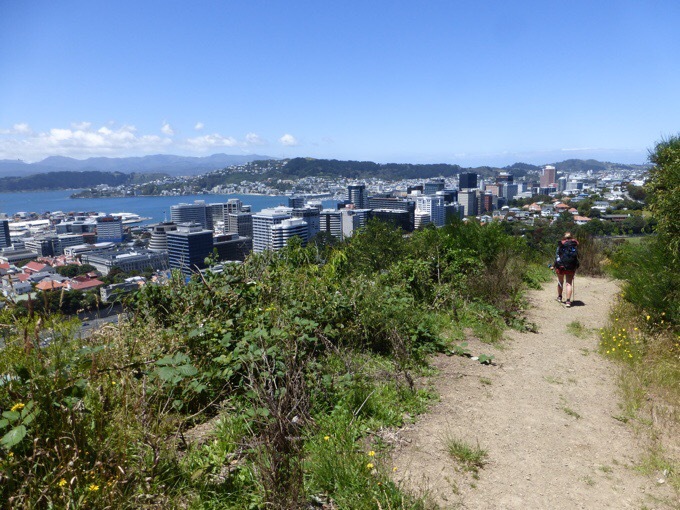 The trail connected to the Northern Walkway and was a great way to experience Wellington! I wish all cities had paths like this that meander through neighborhoods and downtown along sites and cover a city. It was filled with great variety. First, we went through some forested areas in the hills above downtown between some neighborhoods. We found a bench to have lunch…or as Becky would have it, some more dinosaur gummies and cookies…hey, at least she’s eating solids again! The gummies are the natural brand, so there’s that improvement as well. I think a bar or two managed to get eaten later. The stomach is rebounding and hopefully will be back to normal after our double zeros. Then we went down towards the center to the city with some great views and entered the Botanic Gardens. 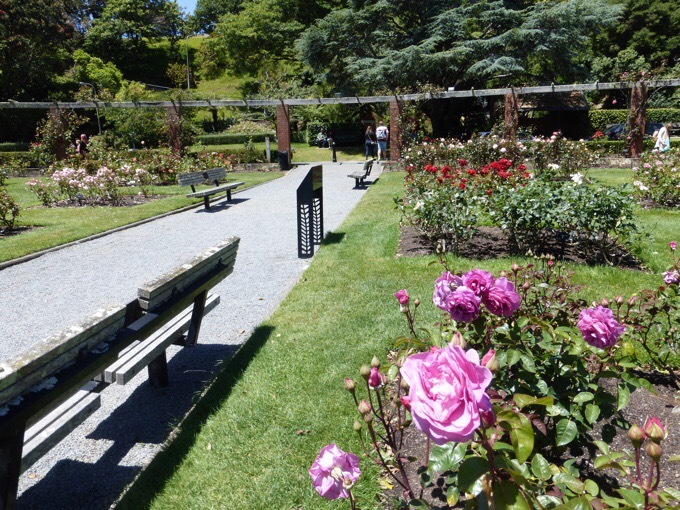 Even with the track, there were many junctions and confusion on how to weave through the gardens. It was nice to go through there, but we didn’t see all of it. We had many more miles to go and many more sights ahead. We hit downtown with all the shops. The path very conveniently goes by all the major stores anyone would need. There was even an official TA sign on the ground marking the path! Becky got her new phone after her old one finally died this leg and the staff were very nice at Noel Leeming. It had gotten wet on the Whanganui canoe section and has slowly died ever since. We haven’t seen any other TA walkers for four days after seeing walkers everyday this whole trail. Then we hit Wellington and are in the bustling downtown and see Ned! We miss Ned! He is in a bit more of a push and is ahead a day with Felix. They will take one zero, so we will be two days behind them, but still may see them again someday. It was great to spend time with Ned who also had to buy a new phone after crashing his leg into a tree branch while his phone was in his pocket. Seeing Ned! Becky getting a new phone. We also went into all the outdoor shops to replace Becky’s rain jacket that is peeling apart on the inside after a month of use. All this rain did it in, so she’s able to return it and is looking for a more sturdy replacement. No choices were made today, but it was a start. All of this while hiking a 23mi/37km day! 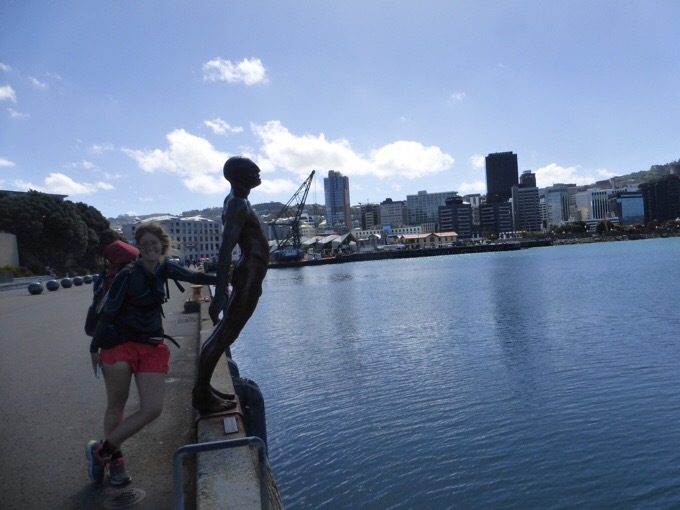 Next up, we walked along Wellington Harbour (specifically Lambton Harbour) with sculptures, restaurants, parks, beaches, and street performers. What a great day to be out too! I really loved experiencing the city this way. 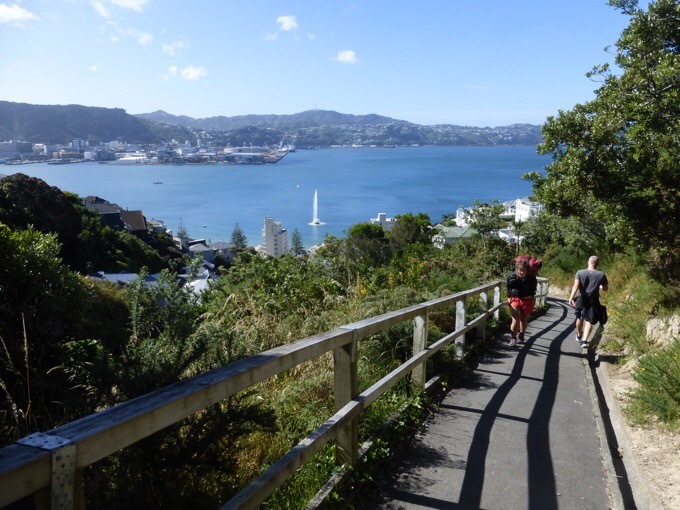 Then it was back to hiking trails again on the Southern Walkway that wound up through Mt Victoria and Mt Albert neighborhoods. We were starting to feel the tiredness of the long day. We were so close, yet still hours away. I love this shot that shows Mt. 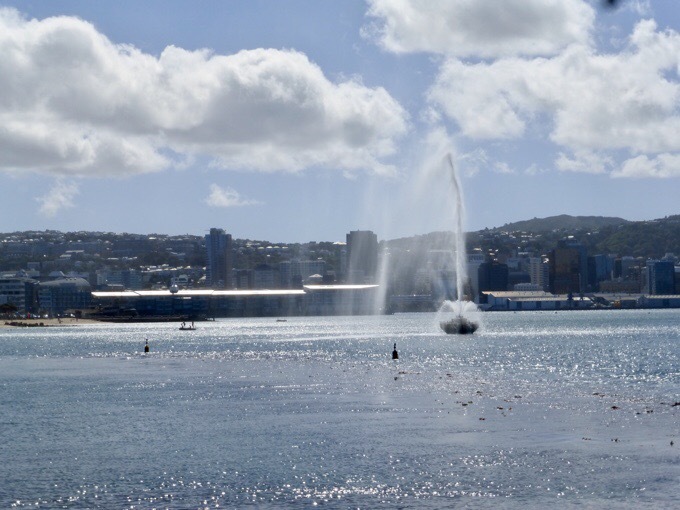 Kaukau with the antenna on top right in the center over the fountain. We had hiked over that mountain just this morning and are now way over here! 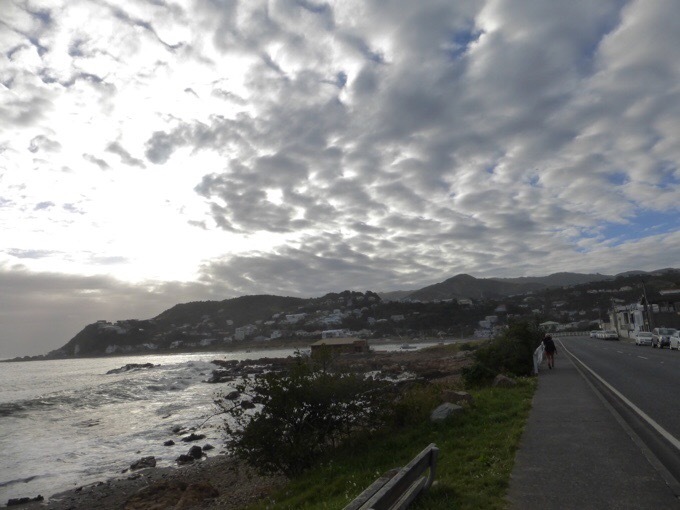 As it got later, temps dropped and some clouds moved in as we hit the south coast. 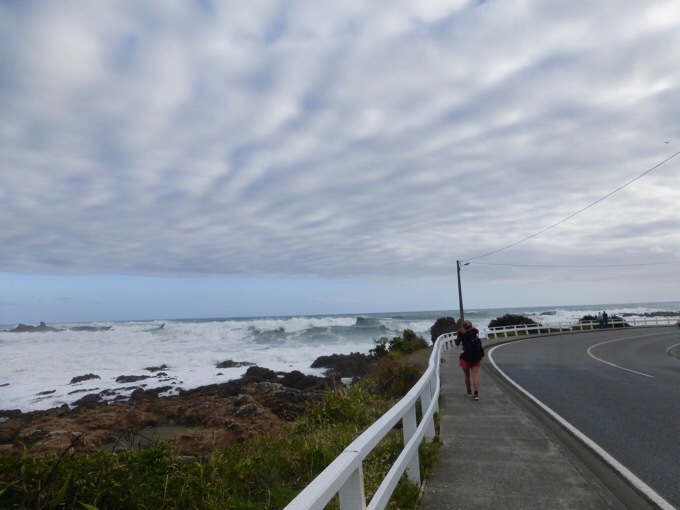 With those cold southerly winds from the Antarctic, the waves were huge. 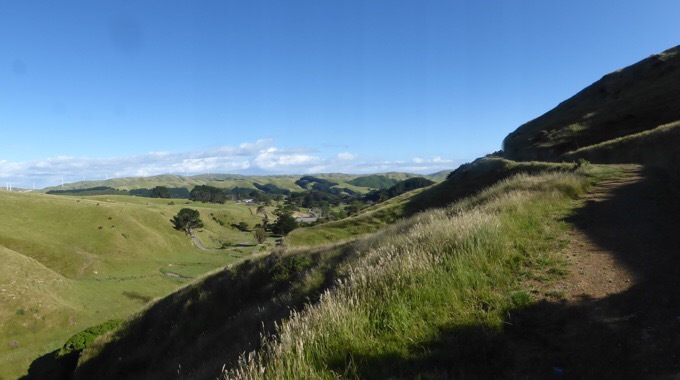 I loved the view, and though we were tired, I was so glad we were walking to the tip to fully complete the North Island before taking our rewarding double zeros. Island Bay and the southern terminus of the North Island. We made it to the end at 7:15pm, after a 12hr day. I got distracted and totally forgot to press the location button, dang! We took way too many photos both together and individually. We couldn’t decide how to play it…cool? climb the rock? or a celebratory tah-da! ?…so we did all three, ha! We were met at the terminus by local blog followers Lou and Liz. They treated us to a celebratory dinner and took each of us to our respective locations where we each have friends in the city to stay with for the zeros. Becky ate a full meal for the first time in four days! THANK YOU Lou and Liz!!! I got to my friend’s place around 10pm, whew! What a great way to wrap the North Island. I’ll post in a couple days about all that happened over the double zero, but what I can say is that it WON’T involve much walking, that’s for sure. It’s been 33 days since our last zero and we are ready to rest! Dinner with Lou and Liz, THANK YOU!!! 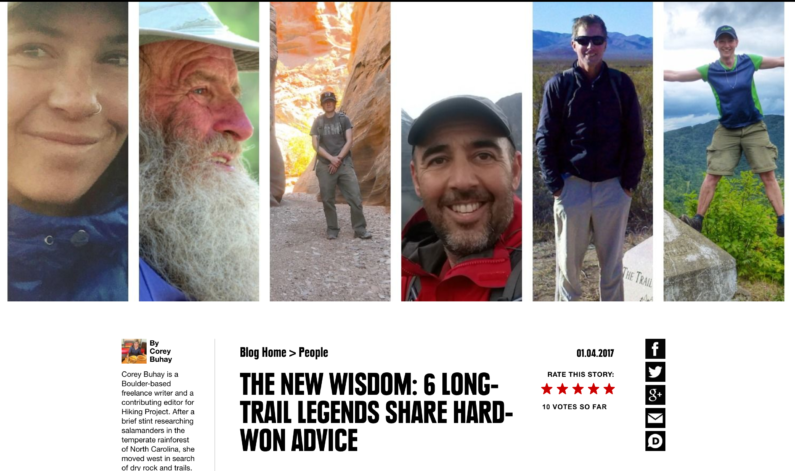 *Note: An article from REI came out today that some of my “full-time” thru-hiking friends and I were interviewed for. I think you’ll all enjoy it, so here’s the link. Congratulations!!!! What a great milestone! Hooray! Well done you two! Enjoy your well-deserved two zeros. Glad to hear Becky is feeling a bit better; that looks like quite a plateful of food in front of her. Oh, I forgot to add that she ate a whole meal! Fantastic ! You did it ! Enjoy your rest days .. you’ve earned them ! Congrats! This is such a different hike and is very interesting to read about. Can’t wait to see what the South Island is like. Enjoy your rest! Well done, the both of you!.. that is a real achievement and I hope you are giving yourselves a good pat on the head. Becky seems as tough as old boots and I’m sure will be back to normal in no time with a zero and a couple of decent meals.. missing one now and again does no great harm I think.. Looking forward to the south island! Thanks for sharing the link to the Thru-hike interviews. Looking forward to the posts from the South Island. Everything that I have read convinced me that is the only part I would do ( if I could). At least until they replace all those road walks on the North! Huge congratulations!!! Now you can look back on all your trials and tribulations proudly and eventually fondly (after all the wounds heal–haha). 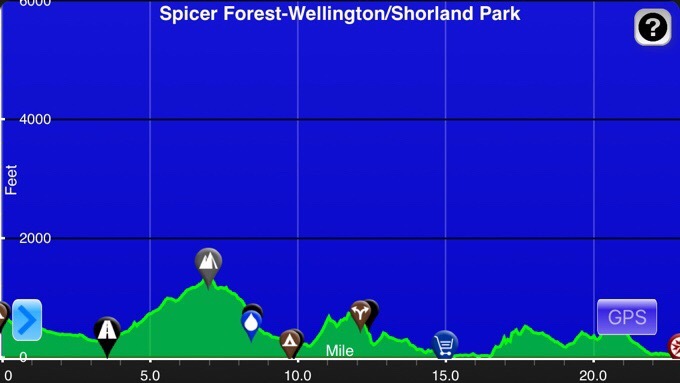 The South Island is like a whole new trail (not without its own trials and tribulations!!). Rest up and enjoy the zeros! 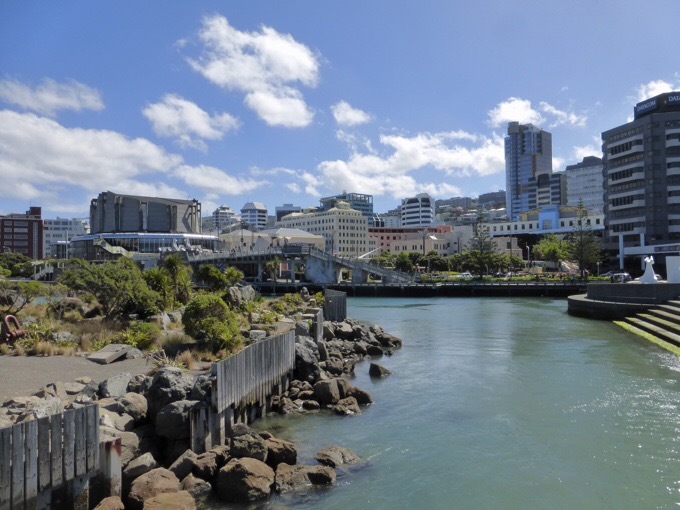 Congratulations – now on to the South Island. How do you keep your boots dry? Any foot problems from constant wetness? 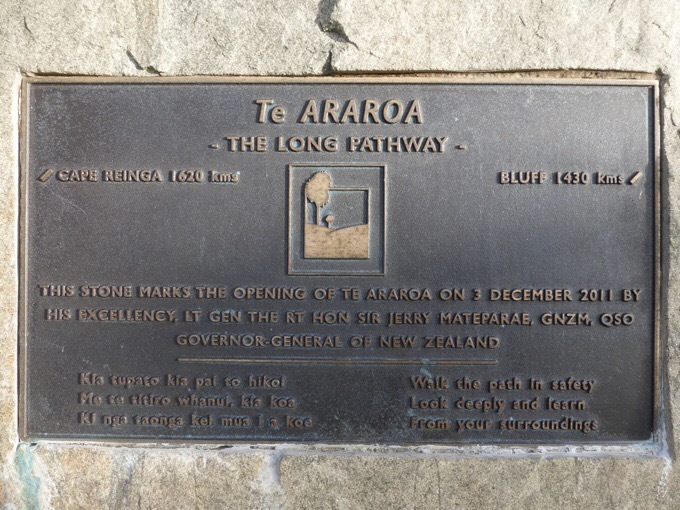 I enjoyed reading the Tongariro Crossing. When I was there in 2013 the volcano was spewing lava & gases, and we could only hike halfway & return. We wear trail runners that dry quickly in sun. If there are multiple days of rain or wet trail, it can wear on the feet, but they’ve hardened enough to tolerate a day or two of being wet. Having boots in these situations would be more likely to give blisters since they can’t dry out as well. The biggest problem for me with trail runners is temperature .. they may be fine in a NZ summer but here in England you would end up with two blocks of ice at the end of your legs. I noticed that in very recent pictures, Becky has looked a bit pale, even subdued, unlike Becky.. in these pictures, too, but by the last couple you see the Becky we are used to seeing has started to emerge. Of course many of us would be happy to look like mire subdued Becky, so it is all relative. She just normally sort of leaps off the screen. Hope you enjoy your Zeroes! “Becky has looked a bit pale, even subdued, unlike Becky.. in these pictures”….. I was gonna let it go but sine you mentioned it, tan lines can be seen in a few photos. Funny how the camera often makes her look so fair skinned. Really glad to hear Becky is doing better. Eat well and prosper! 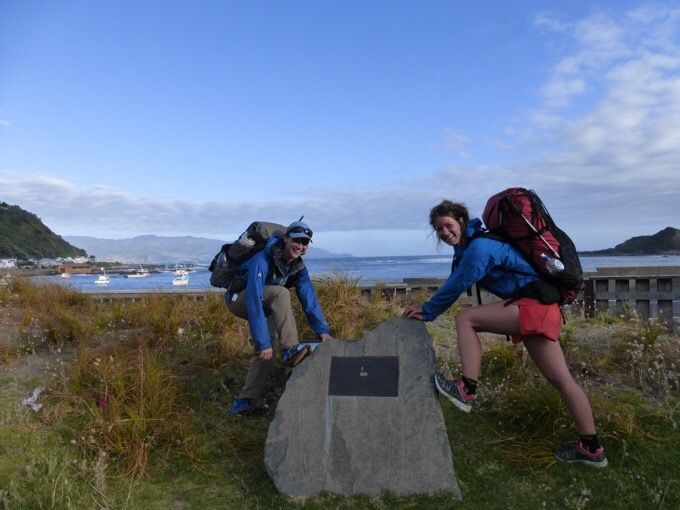 Congrats to the both of you on the completion of the North Island!! Well, I woul love to look as good as she does, even when she is tired and under the weather.. Her smile is returning and that is a good thing. Just looked up treatment for UTI on the web — lots of casual advice there, but sounds like an antibiotic is the most certain cure. Congrat’s to both of you!!! You are about to see New Zealand at it’s best as the South Island is what New Zealand is all about. 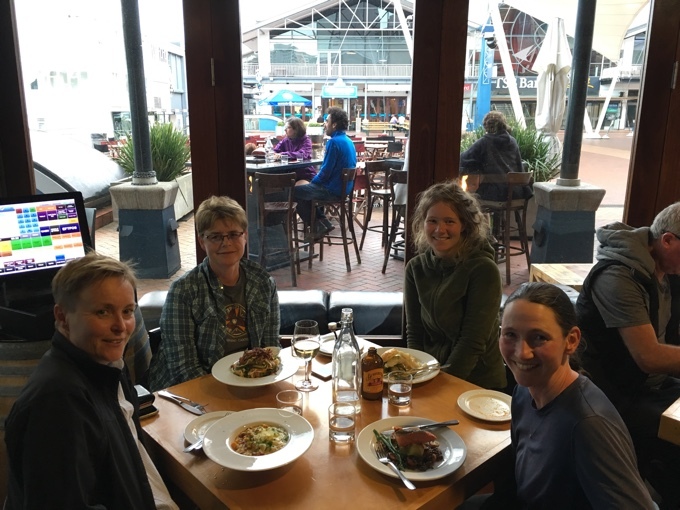 Congrats on completing the North Island! 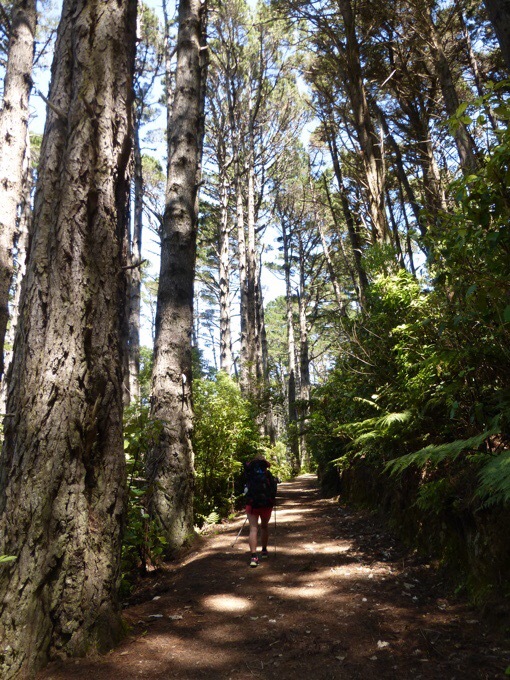 Funny but good to see you hiking in my old familiar stomping grounds in and near Wgtn. 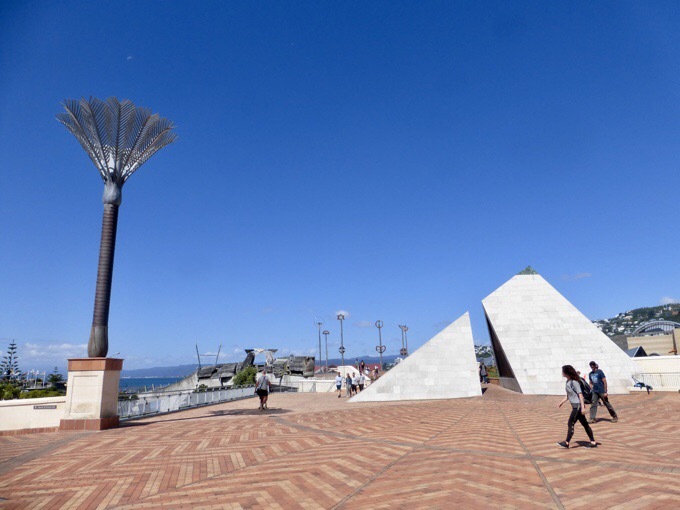 So pleased you had a (mostly) lovely day for it – Wellington on a nice day is great, but those days can be rare. 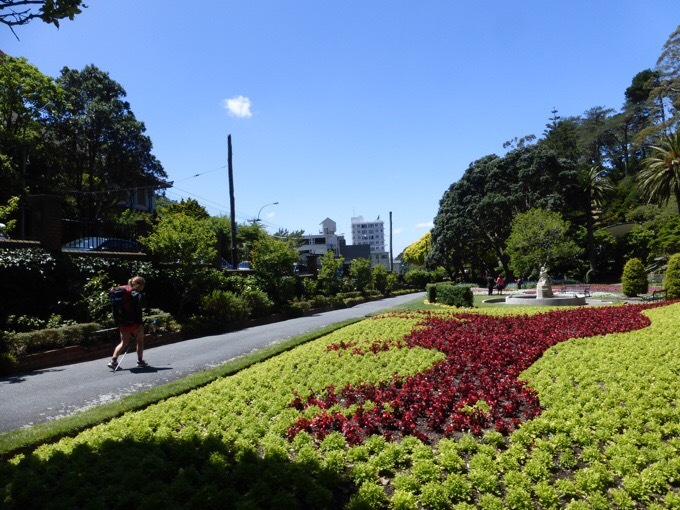 Sounds like the weather has been somewhat worse than usual for you, but most Kiwis would agree I think that the nicest, most settled part of summer is usually February. Sadly it’s after the official holiday time and most are back at school, work, university by then! Fingers crossed for January through March for you. 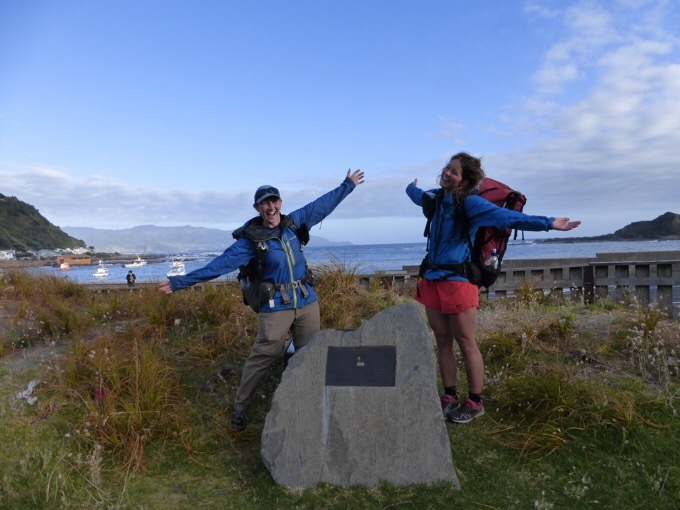 Woohoo, congrats on finishing the North Island! Hope you enjoy your well-deserved rest 🙂 I cannot wait to read all about your upcoming adventures on the South Island! Also very glad to hear that Becky is starting to feel better! Congrats on finishing the North Island and Definitely looking forward to the South. And Congrats on making it on a list of legends, you really have come a long way in a short time. However, they left out quite a few. Impossible to get them all but Nimblewill Nomad, Sherpa, and Andrew Skurka are definitely way up there. I mean Skurka literally scared the crap out of a grizzly with no weapons and has a video to prove it. Who does that?? Ditto congratulations on completion of the the North Island, Wired. Loved the Legends article. It made me remember Yogi and wonder what she is doing now. Good for Yogi. I remember her as an influential “pioneer” of the long distance hiking community. 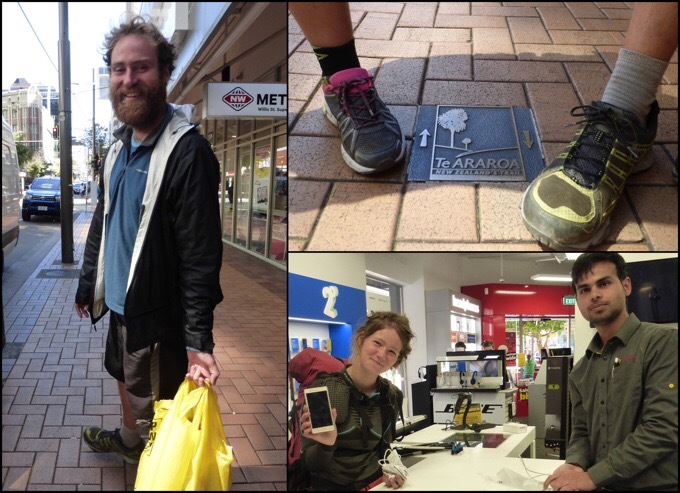 Congratulations on completing the North island.